Greater Springfield is already home to over 34,000 residents and Springfield Central is planned to provide employment for 52,000 workers within a CBD containing more than 2.6 million square metres of commercial, retail, educational, health and technology facilities. With infrastructure for transport and further construction already in place there’s so much more in store for Springfield development. Doing Business Planned for Greatness. Further Springfield development is already underway across the residential, commercial and health care sectors. 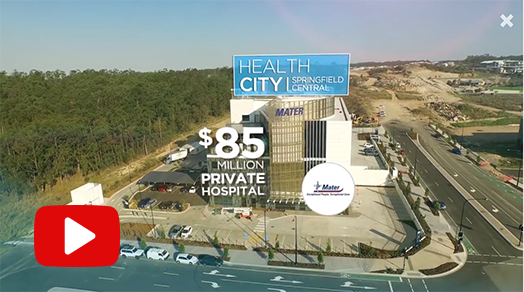 $12 Billion has already been invested across the whole of Greater Springfield’s infrastructure and development with an expected $85 Billion upon completion. Park Avenue’s luxury apartments are already completed with stunning one or two bedroom apartments available overlooking the beautiful parklands of the inner CBD. A further 10,000 units are planned for development to provide the city centre with a residential base. Not only luxury living, residents already have access to the award-winning Robelle Domain parkland and will soon have access to world class recreational facilities through the $24 million sporting facility project. Construction on Australia’s largest dementia-friendly retirement village is already well underway with 2500 housing units to become available. The Health City district is also expecting huge investment with land packages and specialist suites available. The Greater Springfield Town Centre Concept Plan accommodates 22,855 residential dwellings in the CBD. 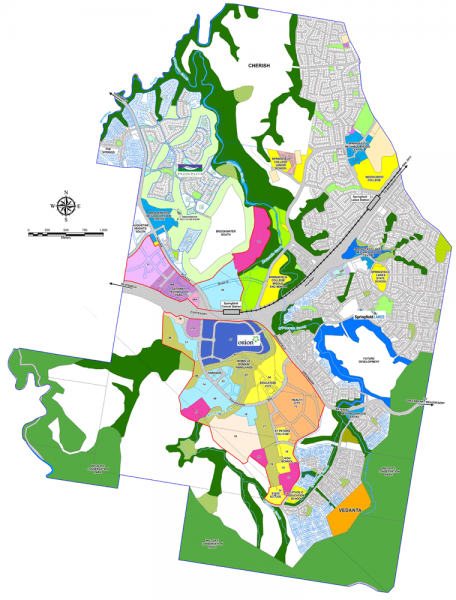 Springfield Central is surrounded by additional residential development in Brookwater, Springfield Lakes, Spring Mountain, Augustine Heights and Springfield. With 32,000 already residing here, a total population of 138,000 is expected for Greater Springfield. 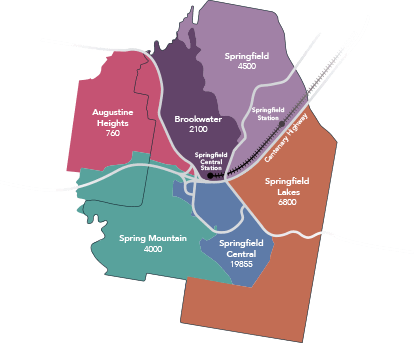 Greater Springfield’s first 25 years have been impressive but there’s so much more to come! See land parcel outlining boundaries,designated precincts, land use and public spaces.